The abandonment of 1.8 million men, women, and children to their fate in Gaza by the so-called international community is one of the most grievous moral outrages of our time. Let us not mince words: Gaza in 2017 is a vast open air prison whose inmates have committed no crime or transgression other than that of being Palestinians who dare assert the right to self-determination on land that has long been coveted by an oppressor whose flagrant disregard for international law and human rights is beyond dispute. 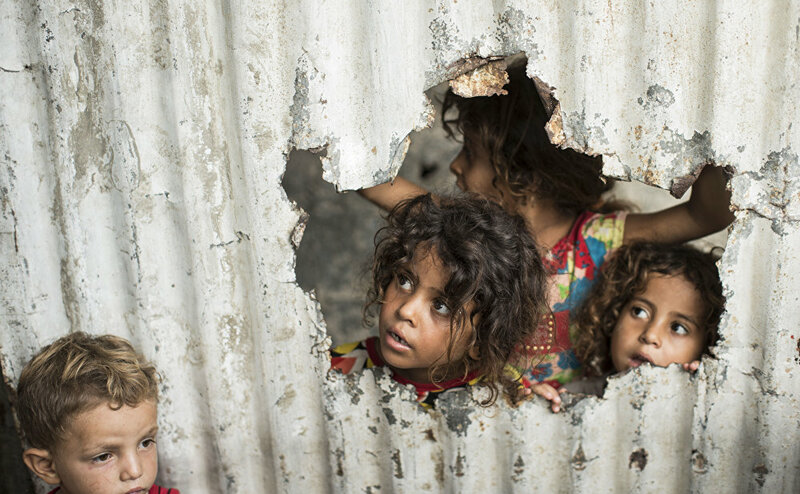 Since 2007 the Gaza Strip — comprising a narrow stretch of land which hugs the eastern Mediterranean Coast, and which at 40km long and 12km (at its widest point) is one of the most densely populated parts of the world — has existed in a state of unyielding siege and blockade. Nothing can enter or leave via its Erez border crossing with Israel to the north, or its Rafah border crossing with Egypt to the south, without the consent of the Israeli authorities in agreement with their Egyptian counterparts. Punctuating this daily lived experience of misery for the Palestinians of Gaza are regular Israeli attacks from land, sea, and air, which are tantamount to war crimes given that due to the lack of space in the Strip they are indiscriminate and regularly result in the massacre of civilians. And this is without taking into account the two full-scale military assaults unleashed by the Israelis on Gaza — Operation Cast Lead in 2008-09, and Operation Protective Edge in 2014 — in which thousands of civilians were killed and maimed, many of them children. The burning question is why, in the face of such damning evidence, Israel has been able to get away with committing such grievous crimes against the people of Gaza for so long? The answer is that for far too long the application and enforcement of international law has been less to do with justice and more to do with power — or a given state’s relationship to power. Israel’s geostrategic importance to the United States and its European allies has allowed it free rein in its brutal repression of the Palestinian people, both in the Gaza Strip and across the Occupied Territories of the West Bank and East Jerusalem. It is afforded a level of geopolitical and diplomatic support that no other state engaged in such wanton crimes against humanity would enjoy, thus exposing the moral bankruptcy of the US and those European governments which continue to deny not only the righteousness of the Palestinian struggle for justice but their status as victims of a continuing monstrous injustice. In defending its apparatus of repression — which includes apartheid, ethnic cleansing, siege, torture, arbitrary detention without trial, and violence — the word “terrorism” is consistently invoked. 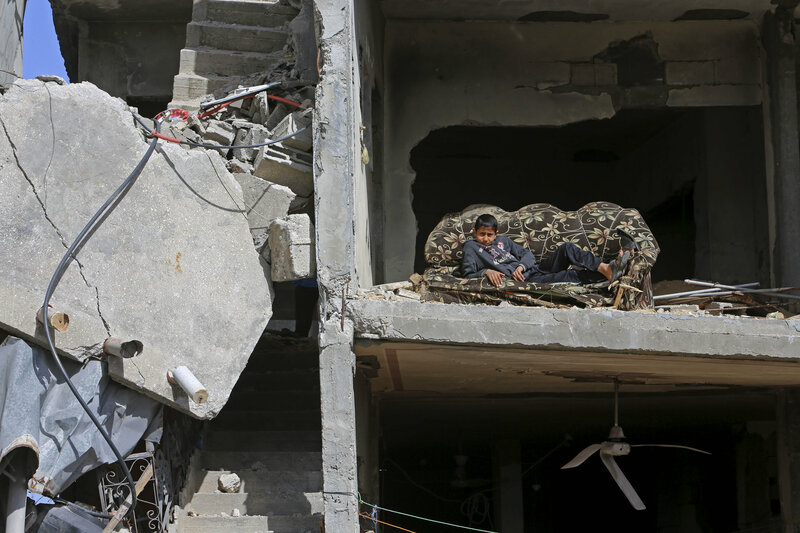 When it comes to Gaza specifically, the Israelis cite the existence and actions of Hamas, which governs the Gaza Strip, as a threat to its security and the security of its citizens, specifically those living in Israeli towns adjacent to Gaza. While there is no gainsaying the fact that attacks unleashed against Israeli civilians by Hamas are indefensible, they are not incomprehensible given the severity of the occupation. What Israel and its supporters are careful to elide when it comes to Hamas is the salient fact that the Islamist group is a product of this occupation, which has lasted since 1967 and shows no evidence of ending. Prison imprisons the guards as much as it does the inmates, and the chains that bind the Palestinians also bind their oppressors. It is hard to imagine that on any given day the word “Palestine” or “Palestinian” does not intrude on the consciousness of people living in Israel, reminding them of a people who remain unbowed, despite their miserable condition, just a few miles from the affluence they themselves have long taken for granted. Hatred of others is the handmaiden of hatred of self, and until Gaza and the rest of Palestine is free Israel will never be free. The United States wants the Taliban to be part of the peaceful process in Afghanistan. According to expert Faruq Farda, the US is playing a double game and is not interested in settling the crisis. “I think one of the things that the [State] Secretary feels very strongly about is trying to develop – get to a place where we can have some sort of a peace process,” State Secretary spokesperson Heather Nauert said at a press briefing in late July, commenting on State Secretary Rex Tillerson’s views on how to resolve the conflict in Afghanistan. “And that means actually sitting down and talking with members of the Taliban and starting to facilitate that kind of dialogue,” Nauert added. 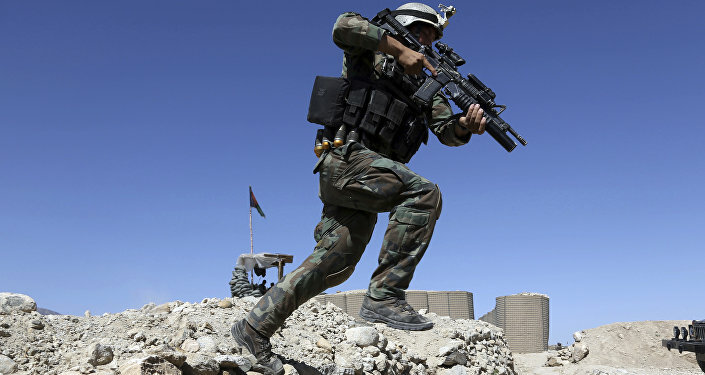 According to Kabul-based expert Faruq Farda, the possible talks between the US and the terrorist group are unlikely to be productive.”After the US invaded Afghanistan, it faced a number of problems and has finally decided to start negotiating with the Taliban. Washington sees such talks as the only way to resolve the crisis. The US was one of the originators of the Taliban. Now the organization is divided into smaller groups, which makes it difficult to control,” Farda told Sputnik Afghanistan. According to the expert, what the US is doing in Afghanistan is a “policy of double standards.” While reiterating its commitment to peace, Washington, at the same time, wants to achieve geopolitical ambitions in the region. “The US wants to turn the Taliban against Russia’s peaceful efforts. Moreover, the US involvement has not resolved a single problem in Afghanistan,” Farda said. What’s Behind Russia’s Warning of ‘Resorting to Military Force’ in Afghanistan? Commenting on the current situation in the country, the expert warned there is a risk of a large-scale conflict in the region.”The reason for the crisis is not the Afghan people. We want peace, but a war is being imposed on us. And this war risks expanding beyond Afghanistan and reaching Russia,” Farda said. He further suggested that Russia could play the leading role in stabilizing the situation and bringing peace to Afghanistan. “Russia is a global power that has been very influential in the global arena in recent years. Russia is one of the guarantors that maintain the global balance of powers. Russia should play a role in the settlement because the crisis in Afghanistan creates risks for Russia’s security,” Farda concluded. US officials recently accused Russia of supporting the Taliban. Moreover, CNN claimed in July that it had exclusive videos purporting to show that the Taliban had allegedly received weaponry in Afghanistan, which appeared to have been supplied by Russia, however, presented no proof. Earlier, the director of the US Defense Intelligence Agency, Lt. Gen. Vincent Stewart, said that there was no evidence that Russia had transferred weapons or money to the Taliban in Afghanistan.The Russian Foreign Ministry denied the claims that Russia is allegedly supplying weapons to the Taliban as groundless. Russian Foreign Minister Sergei Lavrov said that Moscow is only working with the Taliban in order to assist the implementation of a UN Security Council decision requested by the Afghan government that would allow the group to take a role in the political process. Lavrov also called accusations from the US that it is supplying the Taliban with weapons baseless and unprofessional. The US president is considering an investigation into China’s alleged intellectual property theft. Radio Sputnik discussed the issue with Hong Kong-based investment and banking specialist Andrew Leung. “The accusation is that the Chinese state makes it a mandatory requirement to share technology with the invested technology firms from foreign countries. Of course if we share them, that means that intellectual property rights are transferred to Chinese competitors. And indeed that can be held to be a violation of WTO [World Trade Organization] rules,” Leung said. US President Donald Trump may announce a probe into China’s alleged intellectual property theft on Monday after repeatedly accusing Beijing of “unfair” trade practices, Politico reported. “I guess there was a time when the relations [between China and the US] were good in the beginning. But then Washington was perceiving that China was not doing their part in pressurizing North Korea,” the expert noted.Recently, US President Donald Trump stepped up criticism of China amid Pyongyang’s numerous ballistic missile launches. Trump said last month that he was “very disappointed in China” over its failure to put pressure on North Korea to halt its nuclear and missile tests. “I think that the biggest worry for President Trump is this North Korean thing,” Leung stated. The current situation shows that it is “not the time to sour relations” between the two countries, the expert added. According to Politico, trade sanctions on China were not expected immediately after the investigation announcement, but could lead to a hike in tariffs on Chinese goods, a move that is likely to breach the World Trade Organization’s rules. According to Turkish political analyst and journalist Musa Özuğurlu, the decision to stop this support was prompted by Ankara’s unwillingness to give funds to an opposition organization “capable only of talking at press conferences and useless in combat actions on the ground.”The journalist pointed to the fact that currently the coalition does not have the instruments to influence the course of events in Syria. “While the US decided to cut off support for Syrian opposition fighters in order to focus on military assistance for Kurdish forces, Turkey’s decision [to end support for the Syrian National Coalition] is a signal that Ankara will focus on countering Kurdish forces in Syria,” he said.At the same time, Özuğurlu underscored that the move would be very important in the future since it is a positive step in relations between Ankara and Damascus. 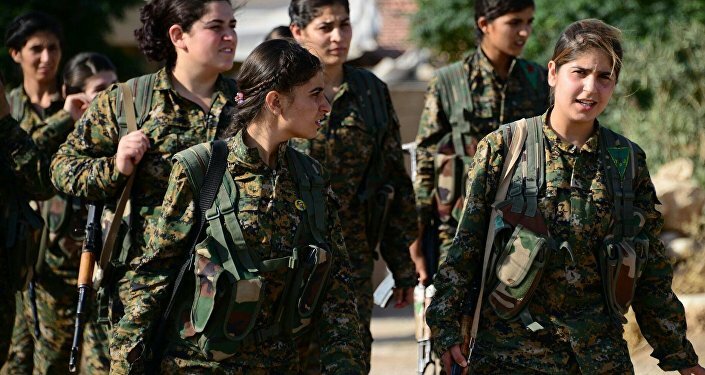 “Kurdish forces are the key problem on the ground for Turkey. 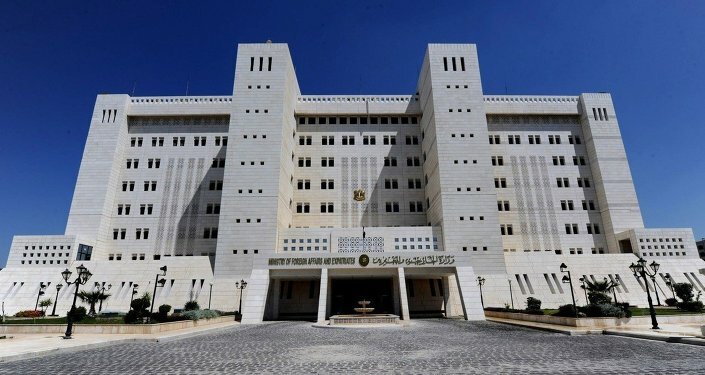 Possibly, the decision was prompted by Ankara’s intention to coordinate actions [on the Kurdish problem] with Damascus. When it comes to the Kurdish problem, Ankara and Damascus have common interests,” the expert said.Özuğurlu, however, assumed that there would be no quick normalization between the two sides. “They are likely to continue attacking each other with harsh statements. However, the fact that Turkey has ended support for the Syrian National Coalition means that Ankara doesn’t recognize the opposition forces anymore. This may lead to a new phase in Ankara-Damascus relations,” he concluded. It is time for Washington and Pyongyang to meet at the negotiating table, Russian academic Evgeny Kim told Radio Sputnik, adding that the US should lend an ear to Moscow and Beijing’s proposal to stop both North Korean missile tests and US-South Korean military drills in the region. Washington’s unwillingness to hold a dialogue on the Korean crisis with Pyongyang is adding fuel to the fire in the region, Evgeny Kim, a senior fellow at the Center for Korean Studies of the Institute of Far Eastern Studies at the Russian Academy of Sciences, toldRadio Sputnik. “Americans are adding fuel to the fire. Why did they bring strategic bombers to the Guam [military] base and conduct training bombings? The North [North Korea] is ready for negotiations,” Kim emphasized. “Military solutions are now fully in place, locked and loaded, should North Korea act unwisely. Hopefully, Kim Jong Un will find another path!” US President Donald Trump tweeted Friday. On August 8, a US Pacific Air Forces website reported that two US Air Force B-1B bombers joined their counterparts from the Republic of Korea and Japanese air forces in bilateral missions.”Two US Air Force B-1B Lancers assigned to the 37th Expeditionary Bomb Squadron, deployed from Ellsworth Air Force Base, South Dakota, flew from Andersen Air Force Base, Guam, for a 10-hour mission, flying in the vicinity of Kyushu, Japan, the East China Sea, and the Korean peninsula, August 7, 2017 (HST),” the report said. Earlier this summer, Moscow and Beijing issued a joint statement offering ways to de-escalate the situation. Russia and China have repeatedly called upon Pyongyang to stop nuclear tests at the same time urging Washington and Seoul to refrain from conducting joint drills. However, the vicious cycle of the US and North Korea’s mutual threats has yet to be broken. 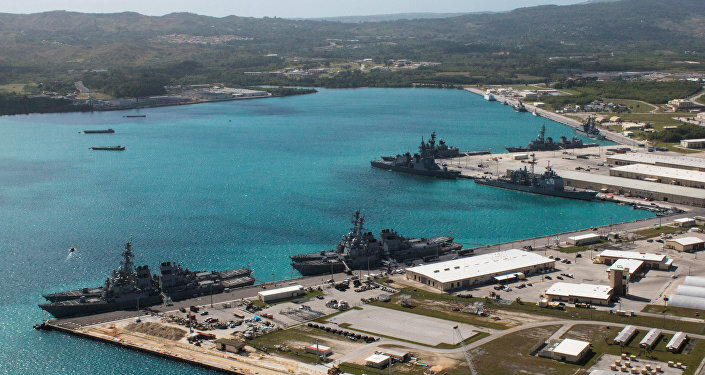 The Korean Central News Agency (KCNA) reported Thursday that by mid-August Pyongyang will have a plan to launch four intermediate-range missiles at the US territory of Guam, where American military bases are located. “The Hwasong-12 rockets to be launched by the KPA [Korean People’s Army] will cross the sky above Shimane, Hiroshima and Koichi Prefectures of Japan,” General Kim Rak-gyom, who commands the Korean People’s Army’s Strategic Force, stated as quoted by the media outlet. Local news reported Friday that Japan is allegedly mulling over the deployment of Patriot Advanced Capability-3 (PAC-3) surface-to-air anti-missile systems in the four prefectures over which North Korea’s ballistic missiles could potentially fly in the event of an attack on Guam.The same day a lawmaker of Russia’s upper house of parliament, Viktor Ozerov, told Sputnik that Russia had put on high alert its air defense systems in the country’s Far East due to the escalation of the Korean crisis. The information was later denied by the Sputnik source in the Eastern Military District. “The units of the Armed Forces of the Russian Federation in the Far East, including air defense battalions, are serving in normal mode. 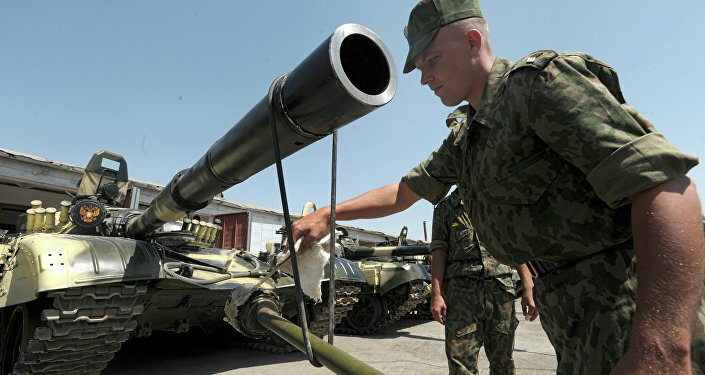 There were no orders for increased combat readiness,” the source told Sputnik. Commenting on the issue, Kim highlighted that the time has come for the US and North Korea to meet at the negotiating table. “Americans should probably accept a joint proposal by Russia and China that both nuclear tests of the DPRK and military exercises involving the United States from the Korean Peninsula should be suspended simultaneously. Stop it and start negotiating,” Kim stressed. “There is but one thing to do — to hold negotiations and one should exert pressure on the Americans. By the way, in this very case, I believe we can receive some support from South Korea: its leadership also says that it is necessary that the Americans begin talks with the northerners,” the academic told Radio Sputnik. Kim expressed his confidence that the North Koreans wouldn’t strike first. The ongoing exchange of threats between the US and North Korea has nothing tangible behind it, US scholar and expert on Korean affairs Michael Madden told Radio Sputnik. At the same time, according to Madden there could be a serious “disconnect” between US influential foreign policy makers that prevents the Korean problem from being solved. With a war of words between the United States and North Korea ramping up over recent weeks the question arises whether the two are really up to starting an all-out confrontation. ​The tweet came as an apparent response to a state-run Korean Central News Agency (KCNA) report, which stated that Pyongyang has a plan to launch four intermediate-range missiles at the US territory of Guam, where American military bases are located. Speaking to Radio Sputnik Madden drew attention to the fact that regardless of its warmongering rhetoric Pyongyang is very careful in its choice of words. “North Korea is very careful in how it formulates its statements…. And if we go to the two statements that have come out from North Korea’s Strategic Forces, its missile forces, this is always couched in a very sort of hypothetical language…. The phrases keep coming up: ‘we are seriously considering.’ They have not done anything yet!” Madden underscored. According to the Korea expert, the West is seriously underestimating the Democratic People’s Republic of Korea (DPRK).”One thing we are underestimating is the North Korean policymakers’ understanding of American politics and of global politics. They are a lot more sophisticated than we think they are,” Madden remarked. Commenting on Washington’s alarmist rhetoric in regard to Pyongyang, the American scholar suggested that the US leadership is trying to conceal some problems the United States is having in the National Security Council. There could also be a “disconnect” between some of the key US foreign policy makers, he added. Meanwhile, Russia and China continue to call upon Washington and Beijing to take steps to defuse tensions, citing security concerns. Russian Foreign Minister Sergei Lavrov told reporters Friday that the risk of a conflict between the US and North Korea turning into a full-fledged war is high. “The risk is very high, especially regarding the rhetoric [between the two countries]. We hear direct threats to use force…. Of course, this concerns us very much,” Lavrov said Friday, adding, however, that he believes that common sense will prevail in the situation. Commenting on the issue, Madden pointed out that Beijing is obviously not happy with Pyongyang conducting nuclear and missile tests. The scholar pointed to what may seem an inconsistent policy on the part of Beijing: on the one hand China hesitates to isolate its troublesome neighbor, but on the other hand the Chinese leadership has recently adopted a package of UN sanctions against North Korea. 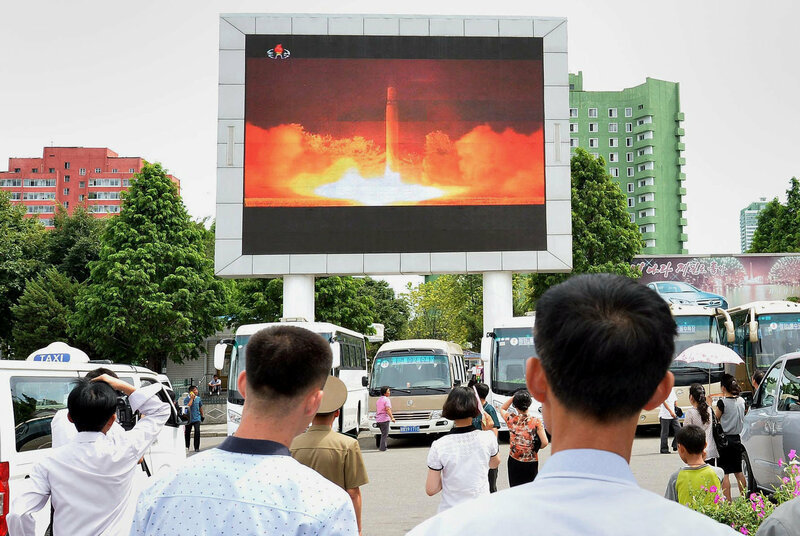 Madden explained that the destabilization of North Korea may result in serious security problems for China, including the influx of refugees from the DPRK. One of the reasons why China is trying to join the sanctions “is that they hope that maybe this would create the conditions in which they could start to have dialogues or six-party talks, some other multilateral or even bilateral form,” the US scholar suggested. “So they think that at some point maybe the North Koreans will engage in some sort of [dialogue],” Madden told Radio Sputnik. Despite efforts by the Afghan government and the US, Daesh (ISIS/ISIL) and the Taliban continue to gain ground in the country, threatening to import terrorism to the Central Asian states. Speaking to Sputnik, Afghan military analyst Atiqullah Amarkhel shared his views on whether Russia will intervene to tackle the terror threat. Zamir Kabulov, a high rank career diplomat and Russian presidential envoy to Afghanistan, has recently remarked that if the Afghan government and Washington are unable to counter the threat posed by Daesh’s (ISIS/ISL) spread, Russia will resort to military force, Sputnik Afghanistan reported. The Russian diplomat cited the fact that Daesh continues to strengthen its positions in Afghanistan, which triggers serious concerns in Moscow about the possibility of the spread of instability to the countries of Central Asia near Russia’s borders. Kabulov also referred to recent reports regarding the alleged delivery of weapons to Daesh extremists by unidentified helicopters. 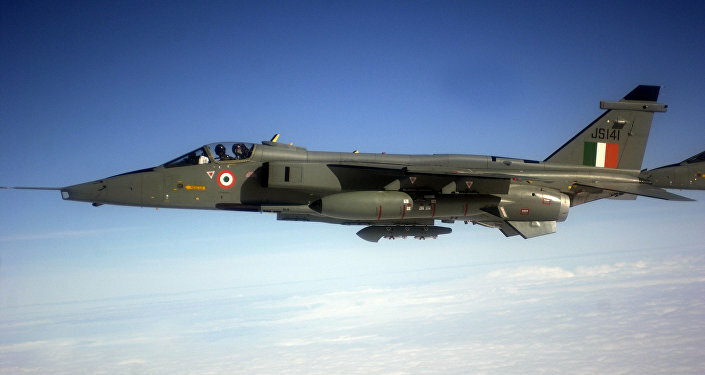 According to the Russian Foreign Ministry, in at least three provinces in the north of the Islamic Republic of Afghanistan an unidentified aircraft was spotted dropping boxes for Daesh militants. Kabulov noted that the issue was raised by Russian diplomats at a UN Security Council meeting. The parliament of Afghanistan echoed the envoy’s concerns. Some deputies even went so far as to suggest that the unidentified aircraft may be connected to the United States.What then did Kabulov mean by referring to Russia’s deployment of military force? Does it mean that Moscow is ready to bring in the military to Afghanistan in order to defeat Daesh? 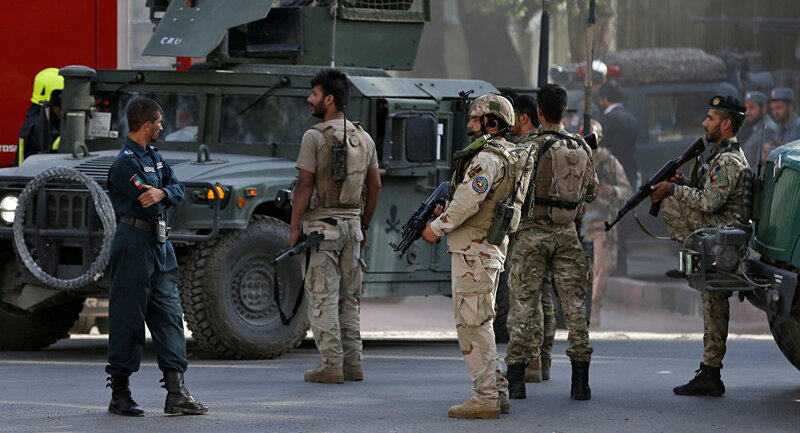 According to an Afghan military analyst, retired Air Force General Atiqullah Amarkhel, the Russian official’s statement is more of a “warning” over the potential escalation of the situation in Afghanistan, than a promise to use military force. “It is a political issue and [Kabulov’s] words are a diplomatic warning,” Amarkhel explained, stressing that it is highly unlikely that Russia will intervene to fight Daesh in Afghanistan. “The Russian Federation will not take military measures until Daesh attacks the borders of six Central Asian states and Russia,” the general pointed out. “The reason for Russia’s concern over the growing influence of Daesh in Afghanistan, especially in the country’s north, is the threat of the deterioration of the situation in Central Asia.””Will Russia tolerate the presence of the Taliban and Daesh in Central Asia, which Russia considers to be in its sphere of interest? Unlikely. Moscow views the presence of any terrorist groups in Central Asia as a threat to its security,” Amarkhel remarked. Thus, to tackle the problem the Russian Defense Ministry announced in June that it was going to reinforce its military bases in Tajikistan and Kyrgyzstan with modern weapons in order to prevent the import of terrorism from Afghanistan into Central Asia. “We are alarmed by the growing presence in Afghanistan of Daesh militants whose number now exceeds 3,500. The terrorist group’s ongoing effort to establish an Islamic caliphate poses a serious threat to the security of Afghanistan and its neighbors,” Russian Defense Minister Sergei Shoigu said at a June meeting of the Shanghai Cooperation Organization (SCO) in the Kazakh capital Astana. The Russian defense minister emphasized that the Russian military bases in Tajikistan and Kyrgyzstan are “guarantors of regional stability.””Together with our allies we are boosting their combat capability which, in turn, ensures the security of [their capitals] Dushanbe and Bishkek,” Shoigu stressed. Citing political analysts, Amarkhel noted that Russia’s military involvement in Afghanistan would created new challenges for Moscow. He referred to the fact that Russia is currently engaged in an aerial operation in Syria aimed at protecting the legitimate government of Bashar al-Assad. Moscow has repeatedly voiced its willingness to provide political and technical-military assistance to Kabul, at the same time denying the possibility of the involvement of the Russian Armed Forces in any military actions on the ground in Afghanistan. Speaking to Sputnik, General Amarkhel called attention to the fact that although the government of Afghanistan and its allies are trying to defeat Daesh, the organization is only getting stronger. 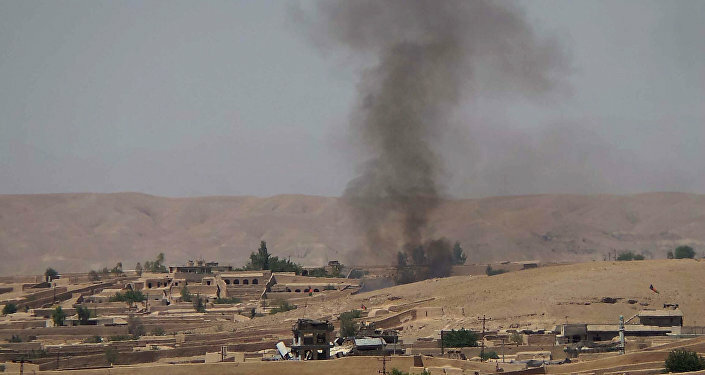 With the Taliban controlling most of Afghanistan’s rural areas and Daesh consolidating its positions in the war-torn country the situation is steadily deteriorating. “The war in Afghanistan is being expanded, in addition to the Taliban and Daesh, new terrorist groups have emerged [in the country]. Let’s see how the situation will unfold,” the general said. “The relationship between Russia and the US is deteriorating day by day, so the US can use various groups of Islamists to increase pressure on the Russian Federation in order to worsen the situation in the Central Asian states, therefore, Russia is closely monitoring the situation,” Amarkhel assumed. Posted in Afghanistan, RussiaComments Off on What’s Behind Russia’s Warning of ‘Resorting to Military Force’ in Afghanistan? Splitting Kosovo in Two: Only Way to Solve Deadlock or Opening ‘Pandora’s Box’? Carving up Kosovo into Serbian and Albanian parts is the only possible way to resolve the long-running conflict in the region, Serbian Foreign Minister Ivica Dacic wrote for Blitz media outlet. Neue Zürcher Zeitung described Mr. Dacic’s proposal as a trying balloon floated by Belgrade. The idea, initially proposed and rejected in the mid-1980s, re-emerged after Serbian President Aleksandar Vucic announced “an internal dialogue” on the divisive issue of Kosovo. “I’m glad to hear all these different opinions being put forward about the future of Kosovo. By the way, it was only my idea of a partition that invited such a nervous reaction, and this is something the Serbian president also noted. They do not react this way to proposals either to give up on Kosovo, or to freeze the conflict. Who knows, maybe this nervous reaction shows us the way we should go to find a solution that would suit all and ensure a longstanding compromise,” Ivica Dacic told Sputnik in a written comment. He added that he would discuss the plan in greater detail with President Aleksandar Vucic when the “internal dialogue about Kosovo becomes official.”In an interview with Sputnik Serbian, Stefan Surlic, a political science researcher at Belgrade University, described the issue of Kosovo as a “Pandora’s box” no one dares to open. “The West believes that the subject is closed and that Serbia has to resign itself to the fact that Kosovo has an internationally recognized status. The idea of dividing Kosovo in two means sidelining Pristina and starting a direct dialogue between Belgrade and Tirana on what is Serbian in Kosovo and what is Albanian,” he noted. “They would be more willing to discuss the exchange of the Serbian-populated northern Kosovo for Serbia’s Albanian-populated Presevo Valley,” he said. Radio Belgrade director and political scientist Milivoje Mihajlovic believes that the proposed partition of Kosovo could have a knock-on effect on other countries ethnic Albanians now live in. “What we really need is integration, a historic pact between Serbs and Albanians on how to live on. Integration means that borders will be gone and joint projects will be implemented – this is the only way we can have a common future. Those who believe that the division of Kosovo will end the problem of Albanian expansionism in the Balkans are making a big mistake, because the “Greater Albania” idea will spill over to the neighboring countries,” he told Sputnik. Historian Cedomir Antic does not believe that a formal proposal by Serbia to carve up Kosovo would have a domino effect on other countries just like the unilateral declaration of Kosovo’s independence did not. “The Bosnian Serb Republic did not use the precedent to break away from Bosnia and Herzegovina, did it? I still believe that there is absolutely no chance for Belgrade and Pristina to agree on dividing up Kosovo,” Antic noted. “We didn’t [divide Kosovo] when we had a chance. Slobodan Milosevic believed that anyone who would yield at least one square centimeter of Kosovo’s land would be branded as a traitor. In 2012, the Serbian government of Socialists and Progressives signed the Brussels Agreement with Pristina thus letting Kosovo Serbs become part of the ‘Kosovo Republic’ without getting any autonomous status,” Antic concluded.Kosovo is the subject of a territorial dispute between Serbia and the Republic of Kosovo. The Republic of Kosovo unilaterally declared independence in February 2008, but Serbia continues to claim it as part of its own sovereign territory. The two governments began to normalize relations in 2013 as part of the Brussels Agreement. Kosovo has received formal recognition as an independent state from 111 out of 193 UN member —states. Russia doesn’t recognize the independence of Kosovo. Posted in SerbiaComments Off on Splitting Kosovo in Two: Only Way to Solve Deadlock or Opening ‘Pandora’s Box’? At least 30 children died on Thursday and Friday in a hospital in Uttar Pradesh, India, after the facility’s supply of liquid oxygen was cut off due to an unpaid electricity bill. Between 11am and 2am, medical practitioners and family members frantically passed out manual resuscitator bags to parents as families desperately scrambled to save their children’s lives. According to police reports, 21 of the deaths were caused by oxygen shortage, cited by Chicago Tribune. “We saw children dying around us,” a victim’s father said. 30 kids died in hospital without oxygen. This is not a tragedy. It’s a massacre. Is this what 70 years of freedom means for our children? The state’s health minister and hospital officials claimed that the deaths were not caused by the unpaid bill. The state’s chief minister, Yogi Adityanath, however, has established a committee to investigate the electricity bill. “The guilty will not be spared,” Adityanath asserted. According to documents revealed by The Washington Post, the hospital owed a whopping $89,750 to Pushpa Sales Private Limited, a medical supply company based in Lucknow. The company had sent multiple letters to the hospital and district magistrate over a period of six months requesting payment. 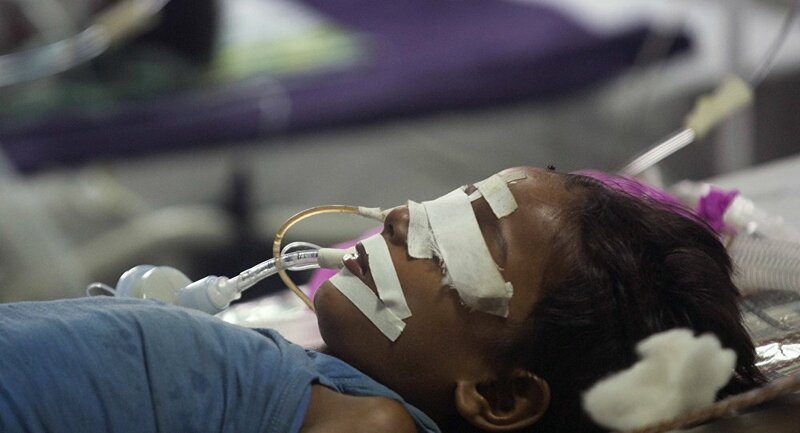 After the contract between the supply company and the hospital ended on July 31, Pushpa waited four more days before cutting off the oxygen supply on August 4. Extreme negligence on the part of the hospital’s chief medical officer is alleged, after he apparently ignored warnings from employees monitoring oxygen storage levels that the supply would only last until Thursday. Intense anger flooded social media outlets following the aftermath of what is now seen to be a completely avoidable tragedy. A political cartoon depicting babies as angels in the sky and an Indian government official trying to reach them quickly surfaced on the internet. 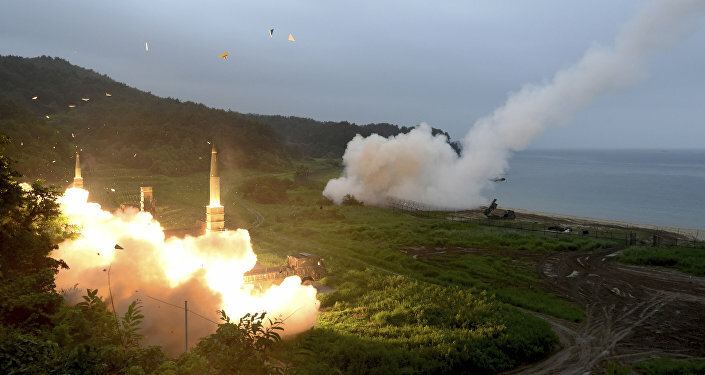 The conventional view has to do with a combination of Pyongyang’s repeated missile tests in violation of United Nations Security Council (UNSC) sanctions and the related need to “justify” the Terminal High Altitude Area Defense (THAAD) deployment right on Russia and China’s doorstep. These points are certainly valid and serve as the most obvious reasons behind Trump’s actions, but there’s more to it than people might initially think. Trump doesn’t just need to “justify” THAAD’s Northeast Asian deployment in the eyes of Russia, China and the international community at large, but most importantly he needs to convince his new South Korean counterpart Moon Jae-In that this move is in his country’s best interests. The new leader was initially skeptical about this, and part of the reason why he was elected is because he campaigned on a mildly pro-sovereign platform, which made him stand out against the more traditional pro-American candidates.Furthermore, his administration has been hitherto hampering THAAD’s deployment through the plausibly deniable means of conducting “environmental assessments“ rabbit its impact, but now that Trump has provoked a new crisis with North Korea, President Moon has considerably less flexibility to stand in his way. This also implies that he will walk back from his plans for a new Sunshine Policy towards North Korea. Bearing these two interconnected factors in mind, it’s likely that one of the ulterior reasons behind the US’ sparking of the Korean Crisis was to sabotage President Moon’s campaign promise to seek rapprochement with North Korea and force his hand in getting him to begrudgingly accept THAAD. Not only that, but with North Korea in the news once again for issuing hyperbolic threats to bomb Guam and the US mainland, Trump now has the perfect cover that he needs to push through billions of dollars in spending for his country’s missile defense systems. This works out perfectly to the benefit of the military-industrial complex and all of those individuals, including in Congress and his administration, who have invested in the pertinent companies. Trump is masterfully playing Kim Jong Un in getting him to say the most outlandish things in response to the president’s deliberately provocative tweets and comments, and this is precisely what the US needs to happen in order to accomplish the abovementioned goals. Granted, North Korea’s security issues vis-à-vis the US are legitimate and it has every right to express itself as it pleases, but it’s just that its characteristic over-the-top style is counterproductive both for its own interests and those of its multipolar partners. Lastly, being the consummate deal maker that he envisions himself as, Trump doesn’t want to let a “good crisis go to waste” and would like to achieve some tangible diplomatic dividends from it when all is said and done. 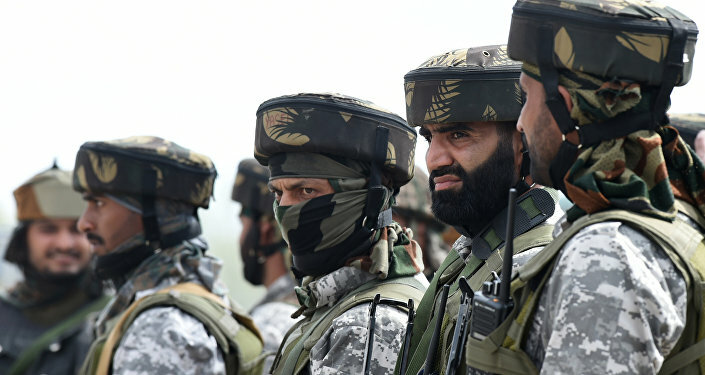 To this end, it’s very possible that the timing of the latest upswing in peninsular tensions was intentionally coordinated with its military-strategic ally India’s new incursion into China’s Donglang tri-border region with Bhutan. 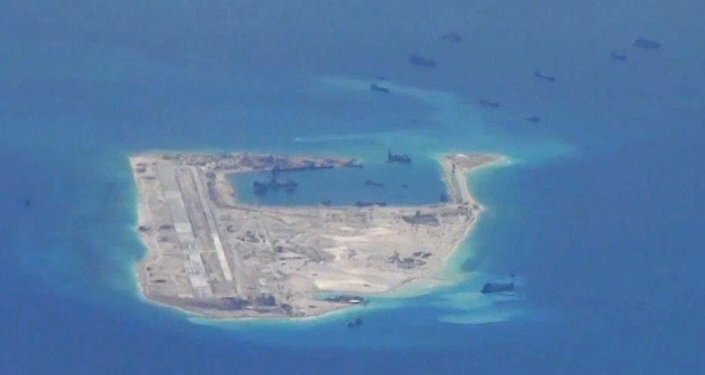 With China now facing two simmering situations on completely opposite fronts, to say nothing of the ever-tense state of affairs in the South China Sea between them, it’s possible that Trump calculated that this would divide Beijing’s strategic attention to the point where it will be forced to prioritize one over the other.It appears as of now that China has chosen to pay more attention to the Indian one because of the far-reaching and long-term implications that a clash between the two Great Powers would have for shattering BRICS and Shanghai Cooperation Organization (SCO) unity and consequently disrupting the emerging multipolar world order. If this reflection of reality is accurate, then it would explain why China has been relatively nonchalant towards the entire Korean crisis and even went along with the latest US-led UNSC sanctions against Pyongyang.In addition, it would also show that the US’ plan in squeezing diplomatic “concessions” from China on North Korea by distracting it with India has been a relative success so far, yielding the tangible dividends that Trump and his team expected all along.